Acceptance of Terms. This site is owned and operated by Resilient Resources Inc. Use of this site is subject to these terms and conditions. To use the services provided on this website, you must agree to all of the following terms and conditions. Your use of this website indicates your acceptance of the following terms and conditions. If you do not agree to all of these terms, do not use this website. Copyrights. All content of this website is copyrighted material jointly vested in Resilient Resources Inc. and the relevant content creator. It may not be used in any manner without the express written consent of Resilient Resources Inc., except to display, electronically copy, download or print hard copy portions of the material on the site for your records or in agreed promotion activities for Resilient Resources Inc. Trademarks. All names, logos, and marks appearing in this site, are trademarks of their respective owners. The use or misuse of these trademarks or any other content on this site, except with the written consent of the trademark owner, is strictly prohibited. Third-party brand identifications are used solely for illustration purposes only. Resilient Resources Inc. does not hold any copyright or IP claims on any external brand or corporate identity markers contained in this site, and are not in any way an official representative for these brands. If you believe your brand’s IP is being used either incorrectly or illegally, please contact Resilient Resources Inc. immediately and we will correct the issue. Links to Other Web Sites. In an attempt to provide increased enjoyment and convenience to our customers, this site may contain links to other sites on the Internet that are owned and operated by unaffiliated third parties (“external sites”). You acknowledge and agree that Resilient Resources Inc. is not responsible for the availability or content of these external sites or for any viruses or other damaging elements encountered in linking to an external site. These linked sites are only for your convenience and therefore you access them at your own risk. In addition, providing links to these sites should not be interpreted as endorsement, affiliation, or approval by Resilient Resources Inc. of the organizations sponsoring the sites or their products or services. Changes to The Site, Content, and Services. Resilient Resources Inc. reserves the right to make changes to the website, its contents, and the services offered. assist, aid, or permit any persons in engaging in any of the activities described above. Disclaimer. THIS WEBSITE IS PROVIDED ON AN “AS IS” BASIS. RESILIENT RESOURCES INC. HEREBY EXPRESSLY DISCLAIMS ANY AND ALL EXPRESS AND IMPLIED WARRANTIES OF ANY KIND, INCLUDING BUT NOT LIMITED TO THE IMPLIED WARRANTIES OF MERCHANTABILITY AND FITNESS FOR A PARTICULAR PURPOSE, FOR THIS WEB SITE. 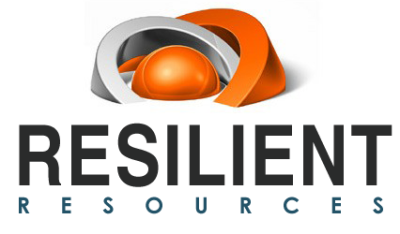 RESILIENT RESOURCES INC. MAKES NO REPRESENTATIONS, WARRANTIES, CONDITIONS OR GUARANTEES AS TO THE AVAILABILITY, USEFULNESS, QUALITY, SUITABILITY, TRUTH, ACCURACY OR COMPLETENESS OF THE WEB SITE OR THE CONTENT OF ANY EXTERNAL SITE. YOU ASSUME ALL RISK FOR ANY DAMAGE TO YOUR COMPUTER SYSTEM OR LOSS OF DATA THAT RESULTS FROM OBTAINING ANY CONTENT FROM THE WEB SITE, INCLUDING ANY DAMAGES RESULTING FROM COMPUTER VIRUSES. Limitation of Liability. TO THE FULL EXTENT PERMITTED BY LAW, IN NO EVENT SHALL RESILIENT RESOURCES INC. BE LIABLE FOR ANY DIRECT, INDIRECT, SPECIAL, PUNITIVE, INCIDENTAL, EXEMPLARY OR CONSEQUENTIAL DAMAGES, OR ANY DAMAGES WHATSOEVER, ARISING OUT OF OR IN CONNECTION WITH YOUR USE OF THE WEB SITE, EVEN IF RESILIENT RESOURCES INC. HAS PREVIOUSLY BEEN ADVISED OF, OR REASONABLY COULD HAVE FORESEEN, THE POSSIBILITY OF SUCH DAMAGES, HOWEVER THEY ARISE, WHETHER IN BREACH OF CONTRACT OR IN TORT (INCLUDING NEGLIGENCE), OR ANY OTHER THEORY. BECAUSE SOME JURISDICTIONS DO NOT ALLOW LIMITATIONS ON HOW LONG AN IMPLIED WARRANTY LASTS, OR THE EXCLUSION OR LIMITATION OF LIABILITY FOR CONSEQUENTIAL OR INCIDENTAL DAMAGES, THE ABOVE LIMITATIONS MAY NOT APPLY TO YOU. Indemnification. You shall be responsible in all respects for your use of this web site and you agree to indemnify, defend and hold harmless Resilient Resources Inc. and its affiliations including without limitation its partners, advisers, employees, agents, from and against any claims or suits and shall pay all damages or any settlements sustained and all related costs (including reasonable attorney’s fees) resulting from your misuse of this website and all transactions in connection with such misuse.